September is National Recovery Month. In recognition of this effort to increase awareness of and understanding of mental and substance use disorders, and celebrate the journey towards effectively coping and recovering, we are featuring Reverend Yolanda Villa, a student in the Clinical Mental Health Counseling program. Union offers a master’s in Clinical Mental Health Counseling that prepares graduates for certification or licensure as a professional counselor or clinical mental health counselor and a certificate in the Alcohol and Drug Abuse Counseling program that is designed to train and prepare professionals for a career in counseling individuals with substances use and abuse problems. Read how Reverend Villa, an ordained pastor, plans to use her M.A. in Clinical Mental Health Counseling to continue her journey to transform lives and communities. A. I want to offer counseling, teach and consult. A. I am an ordained pastor by first professional vocation. I served in local church ministry for more than 20 years. In that role, all clergy were required to take continuing educational courses around sexual misconduct and other ethical issues. The conference I am a part of provided that training and trainer conference-wide. For several years one of your alumni was the presenter for those trainings. She was an ordained minister within the same denomination (however, she was part of a different conference). I was impressed with the material she presented and how she presented it. I appreciated the way in which she integrated her theological training into an ethical clinical approach. She had also written a couple of books that I found to be exceptional around issues of sexual misconduct in the Church. When I inquired about her training, I learned that she was a graduate of Union.  A. I chose Union because of its accreditations, the online-hybrid model (I knew I needed some face to face contact with a community), but also, the flexibility of being able to do a lot of the coursework online. Union offered all of that. But more importantly, I remembered the experience of being a recipient of the work of one of the school’s graduates. I wanted to be trained and educated, where she had been trained and educated. My grandmother is 102-years-old. She never had the choices I had, and most definitely did not have the choices my children have. “20 somethings” should take advantage of our present day realities. As an African-American female my children (and in the future), my grandchildren have choices and will have choices unimaginable for doing the things in life they desire. How exciting is that! I would add one additional caveat to that advice. On the surface, it seems small, but it turns out to be humongous in life. I would add, but, work is not all of life. Find other things to love and balance it all out. A. There have been several influencers in my life. 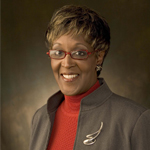 When I earned my Master of Divinity degree to be an ordained clergywoman, there was a seminary professor, by the name of Dr. Emilie Townes, who was an incredible influence. I felt like for the first time, I had someone who encouraged me in my writing. She was someone who looked past the inadequacies of my education from elementary through high school and encouraged my voice. There have also been a couple of educators from Union that have influenced my life. One of them is Dr. Brown-Beatty. She pushes hard and gives a lot. Throughout my life, I look for persons who will push me to the next level of who I am, and what I am capable of doing. She also does an excellent job of choosing textbooks for the classes she teaches. I am an avid reader. I read across all disciplines. Thus, some of the persons that have influenced me have been writers that I return to over and over again. Within the program there are educators who have written textbooks I return to repeatedly even when I am taking other classes (you should see a couple of them, they are hard bound textbooks and the backs and ribs of the books are already worn out and broken, and I haven’t quite finished the degree). Because a lot of our work depends on the written and media resources we use, I appreciate instructors who take their time in choosing solid engaging resources for instruction. Finally, my immediate family – my 102-year-old grandmother, my mother and my three adult daughters are continuous influencers in my life. I love my relationship with them. I carry this impression of them on my heart. So, when it seems like the way is hard – images of them rise to my consciousness and I am inspired to push on. Learn more about the Master of Arts in Clinical Mental Health Counseling by clicking on the button below or call us today at 800-861-6400.